Have you ever been jealous of other women with extremely long lashes and a beautiful flutter? Maybe you have been pondering the thought of getting fake eyelashes to make your lashes stand out too? Have you ever wondered if these false lashes are all they are cut out to be? We will address those concerns in this post today. Fake eyelashes refer to small bunches of natural or synthetic hairs glued together to form an eyelash. They can either be applied in small sections to delicately enhance your eyelashes, or can be placed as an entire piece for a more dramatic effect. Though false eyelashes are glamorized in Hollywood and in magazines, they are not as safe as they should be. They often cause infections or allergic reactions when not properly used. In fact, Fox News Journalist Dr. Clifford Basset reported that over 100 women in Japan reported eye contamination and complications after getting false eyelashes. What Are the Side Effects of Wearing False Eyelashes? Infection by using a contaminated product. Temporary or permanent damage to your natural lashes due to improper use. An allergic reaction to the product. In this post, we will talk more about infections due to fake eyelashes. How Do Fake Eyelashes Cause an Infection? 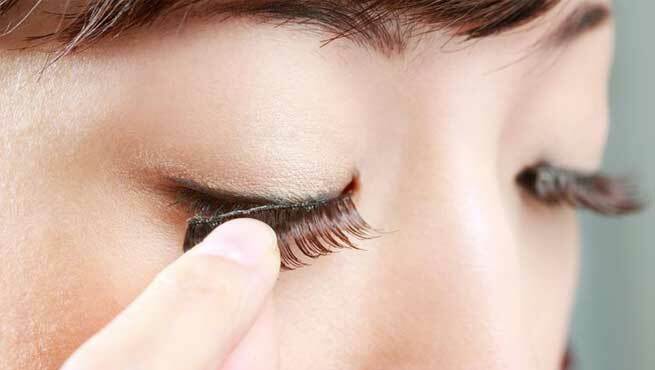 When bacteria collect under the eyelash glue and on the false eyelash, it can cause an eye infection. This often occurs when wearing false lashes to bed or for more than one day at a time. There is also a possibility that dirt or harmful bacteria may enter the eye if you put a false lash that has dropped on the ground back on. Infections can also occur if the eyelash is not removed carefully and an eye-makeup remover is not used to cleanse the eyelid afterwards. 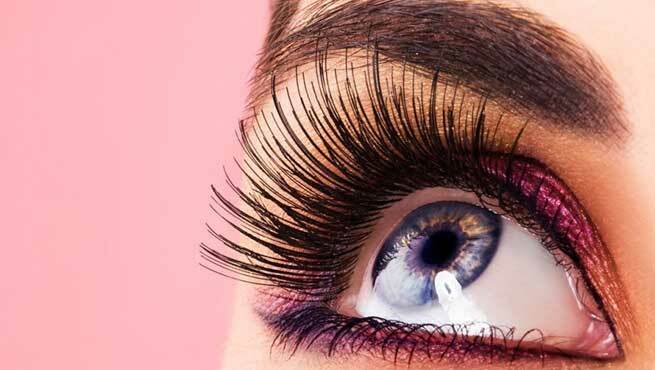 It is best to wear false lashes as sparingly as possible to prevent infections and eye injuries. Also, try not share false eyelashes and eyelash glue, as cross contamination can occur between users. This can cause various eye infections, like conjunctivitis or styes, to spread easily. How Do I Know I Have an Eye Infection? Ensure you seek immediate medical attention if you notice any of the above symptoms, as many eye infections are highly contagious and should be treated as early as possible. How Can I Treat an Eye Infection? The best and safest method to treat your infection is to get appropriate medical help. Your doctor can prescribe you medications that are safe and effective for you to use. Alternatively, you can apply a moist tea bag or boil acacia leaves and then put on them over your infected eye when cooled. These provide symptomatic relief. You can also take an antihistamine to help reduce the swelling. Read Also – ‘Glitter Eyebrow Makeup’ – Rock It With Attitude! How Can I Safely Use My False Lashes to Prevent an Infection from Occurring? Also check the ingredients of your eyelash glue before using it. Some people develop an allergic reaction to the formaldehyde in eyelash glues. What Are Some Alternatives to Fake Eyelashes? There are many safer ways to achieve the lustrous, long eyelashes look. Maybelline, Almay, and Covergirl have super thick lash mascaras to make your lashes look fuller and more voluminous. You can also use the infamous eyelash curler to help your lashes stand out. These work great and are definitely safer options to keep your eyes healthy and beautiful. Should I Get Fake Eyelashes? Ultimately, this decision is up to you. Fake lashes are great in that they create an attractive, bold, and voluminous look. However, there are risks of infection, injury, and allergy. You have to weigh the pros and cons yourself and determine if this is something you would like to try. I once tried to put fake eyelashes on several years ago and they would just not stay on. So I swore to never put them on again. On the other hand, I have friends who feel naked without their fake eyelashes. One particular friend loves them and it seems to boost her confidence. She has been wearing fake eyelashes for over 10 years and has never had an eye infection, but she always makes sure to get them done professionally. I think that if you want to wear them, then go for it. Just stay aware of the risks and take all the precautionary measures listed above to keep your eyes safe. Good luck with your lashes! Read Also – ‘Floating Eyeliner’ – Are You Game For It?